Hunting is one of the best outdoor activities you can enjoy during your free time. It is one of those activities that require shooting skills, strength, accuracy and a great deal of patience. Sometimes you just have to wait for the game to come your way. Long-standing periods can leave you jaded and ill-prepared to hit the target. This is where the climbing tree stands to come into play to help. Instead of hanging to trees, a climbing tree stand helps you stay in an active position in the most comfortable manner. 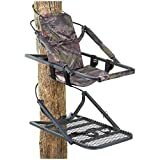 In this post, we are going to review the best climbing tree stands to buy. The ten picks below can help you hit your target with precision. This is an aluminum climbing stand with a closed front design that helps you sit in an active position. The seat features a backrest and a suspended foam pad for a comfortable feel. You can be seated for long hours without being fatigued easily. It is a pretty lightweight stand weighing 20 pounds and capable of holding up to 300lbs. Other features include a green utility strap and a full-body harness system. 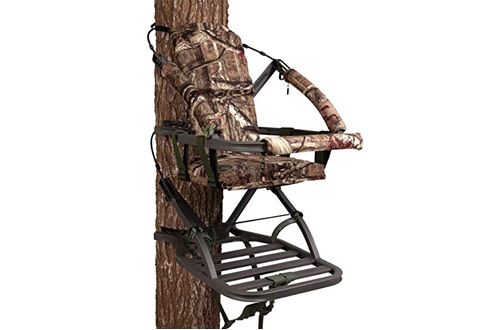 The Guide Gear is another extremely comfortable climbing tree stand with sturdy steel construction to last you for years. The seat is pretty comfortable and roomy with thick one-inch padding on the seat, back, and armrest. It is pretty easy to store and transport due to the foldable nesting design. 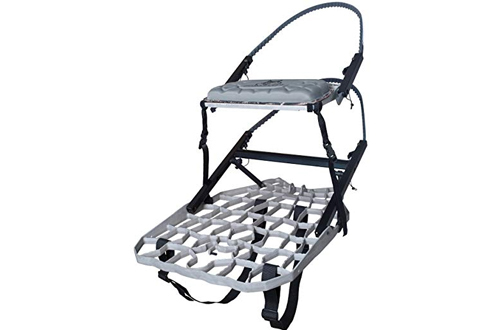 You also get a climbing seat bar and adjustable nylon straps. Buckle straps help lock the seat and the platform in place holding your weight firmly. This is another closed front design climbing tree stand with a suspended seat and platform. It is a pretty comfortable stand with a padded foam seat, backrest, and armrest. The entire seat and platform weight a mere 18 pounds making it pretty easy to transport and store. It is a sturdy aluminum construction holding a maximum weight of 300lbs. Thus climb stand features the sound deadening technology and a full body arrest harness. The Lone Wolf is a wide climb stand that allows you to sit and stand on an active position on the tree. 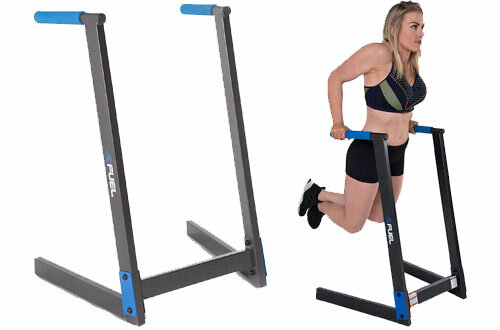 It is a low profile climb stand that easily folds down to 4 inches for easy transportation. The stand is quite lightweight weighing a mere 21 pounds. 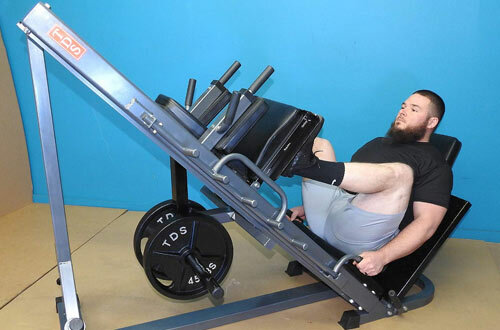 A unique pivoting helps use to sit and stand. 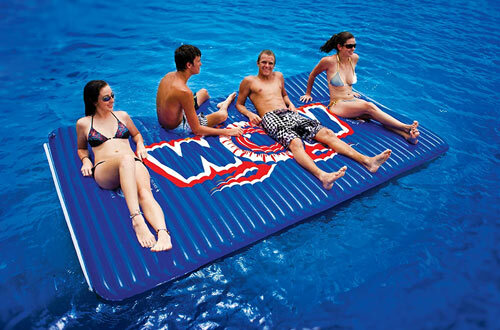 There is a huge 19.5 by 30 inches platform made of the durable cast aluminum. 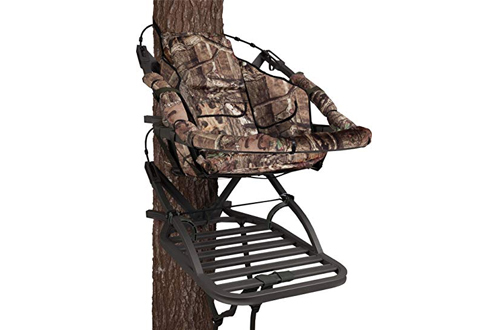 Overall, this is a pretty versatile and comfortable climb tree stand with 2-panel foam seat pads and a cast bow holder. This is a sturdy aluminum treestand and one of the best picks that include all the necessary straps, ropes, hardware, and pads. 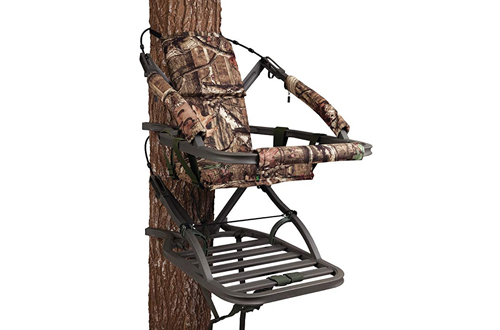 This is a pretty large climb tree stand offering more room for the bigger hunters to have a comfortable vantage point. The stand features an adjustable height and a reversible round seat that allows you to seat while facing the tree. It is a quality choice with an extended top frame for the tall hunters. 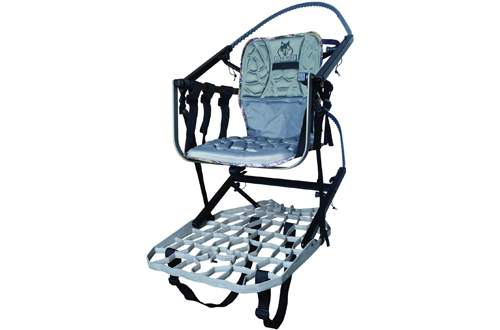 Overall, this is a quality stand coming with all the4-safety harness and weighing a mere 23 pounds. This is one of the leading portable tree stand climb in the industry with a quality and sturdy construction in the USA. It is a full-featured lightweight stand for proven hunters. The stand easily folds down to a 5-inch size for easy storage and transportation. It fits trees in the range of 6-19 inches making it a versatile pick in the wild. 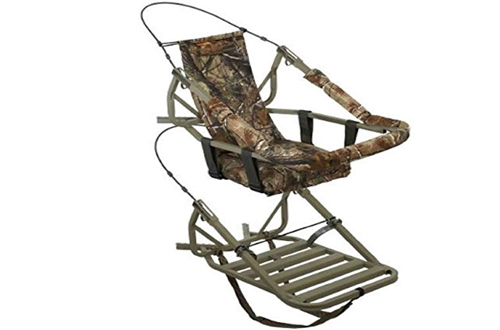 The belt design platform ensures your safety while the 3-d camo platform allows for standing or sitting positions. Overall, the stand weighs a mere 17.5 pounds and will be easy to carry around. This is another closed-front design climbing tree stand with a maximum weight capacity of 350 pounds. It is a pretty versatile stand that can be used on every hunt. The stand weighs only 25 pounds and can be carried with you everywhere. The suspended seat and backrest and comfortable and feature a foam padding. Overall, the stand will be ideal for hunting with a Mossy oak finish the camouflages well in the wild. The Summit 81052 is a durable steel construction stand for long-lasting use. It is a quality pick with a camouflage finish to remain hidden without being noticed by games. The stand offers you a large and sturdy steel platform for a great vantage point. The seat is spacious with ample room for big hunters. Other features include the linen loops and 4 point harness. The seats also feature dual forms for the ultimate comfort. 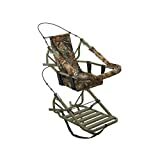 This is another excellent Summit climbing tree stand with a wide aluminum seat and climber frame to fit the big hunters. 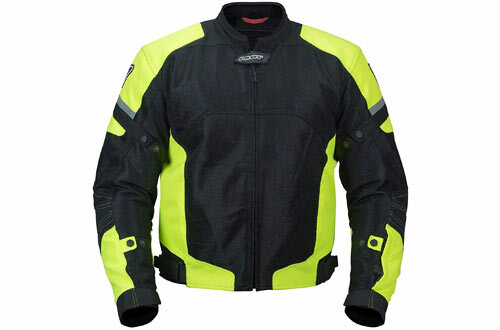 It is a durable closed-front construction with a maximum weight capacity of 350lbs. The stand is lightweight and weighs a mere 25lbs. It is pretty easy to carry and use everywhere. Both the backrest and seat are foam padded for comfort. It also features the unique Mossy oak camo finish which is unnoticeable in the wild. 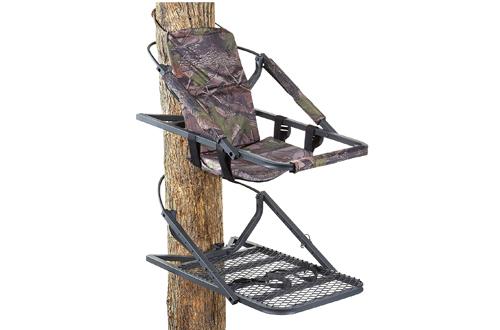 The Lone Wolf sit and climb combo brings an end to our list of the best climbing tree stands. 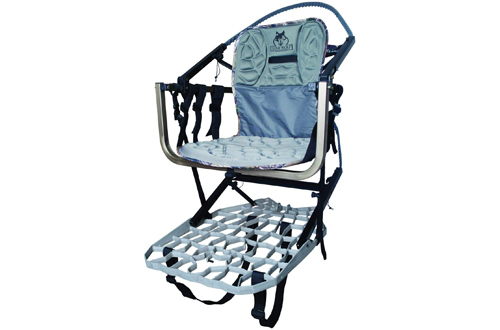 It is another excellent choice with a six-harness fall arrest system and a two-panel contoured foam seat. The stand weighs 20 pounds and holds a maximum 350 pounds. It also features a bow caster holder and pivoting sit for easy climbing. 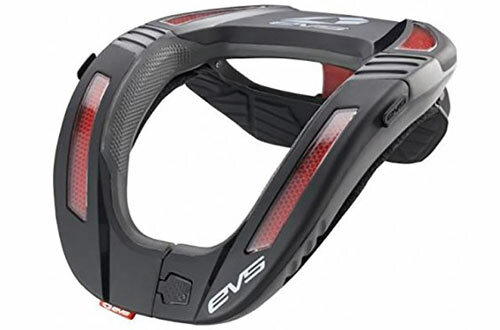 Other excellent features include the backpack straps, stabilizing straps and the one bungee strap. A successful hunt requires some of the best planning. 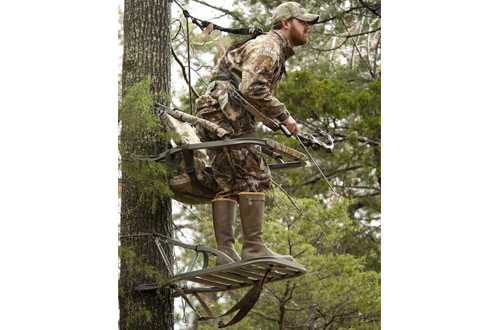 A climbing tree stand is an important equipment towards a successful hunt. 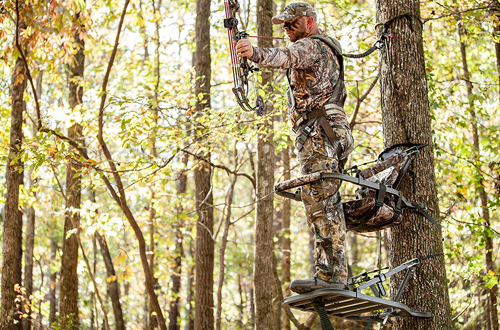 We’ve reviewed the best climbing tree stands for you to buy this year. Make sure you read our reviews and choose from our best picks above. 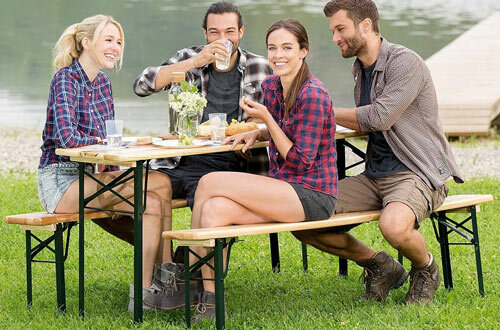 Read more about the cooler tables.